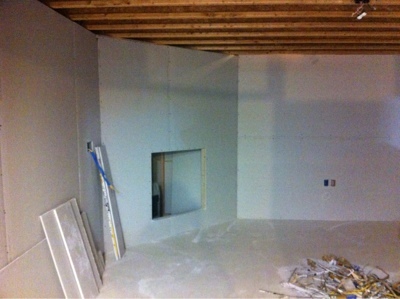 LOTS of drywall went up today!! 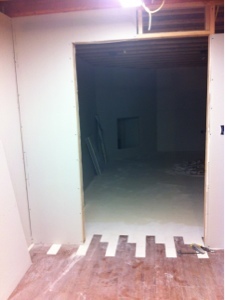 So exciting to see it come together!! 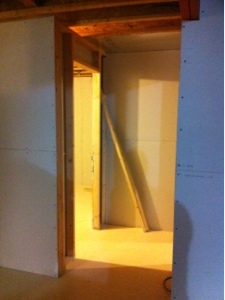 This is the closet as you walk down the steps. 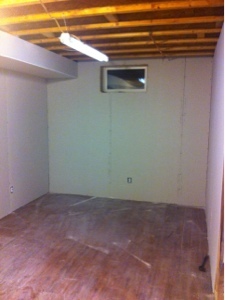 This is the sewing room. 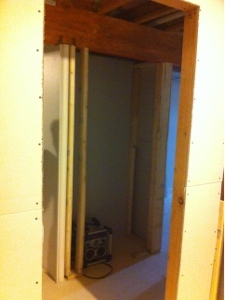 Furnace has soffit and encased with drywall. 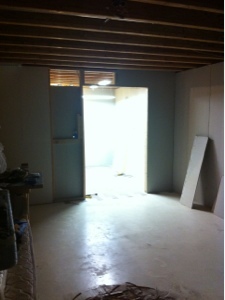 This 2nd pic shows the other end of that soffit and the closet in the sewing room. 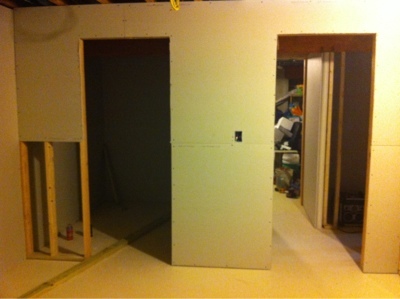 This is the wall between the sewing room and the play room. It will be cut down to half a wall on Thursday. 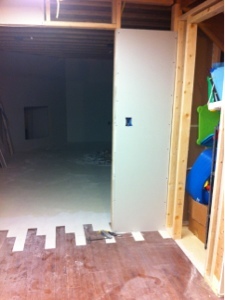 This is in the playroom, looking into the living room. 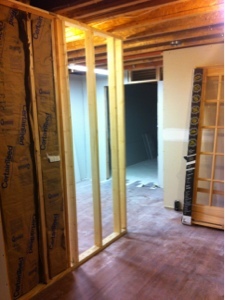 This is where the french doors will be. 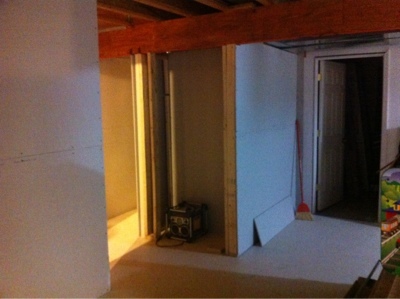 Closet under the stairs on the right. 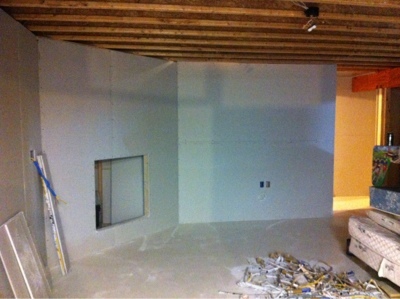 and the wall to the right of it will be the tv wall. 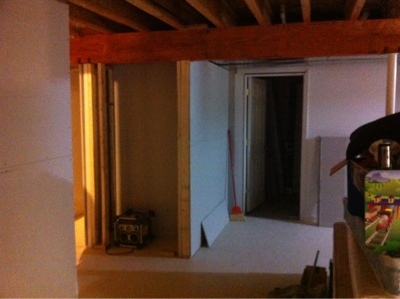 The hallway to the bedroom and storage area, is to the right. Hallway, bedroom door way is on the left. 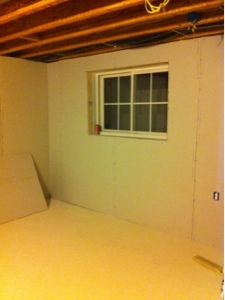 Inside bedroom, egress window seen. 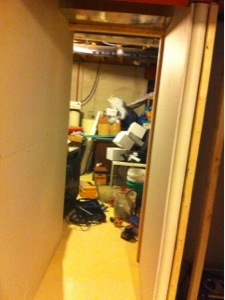 When inside bedroom, with the window on your left, the closet is picture as the dark area on the left. 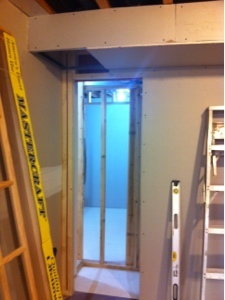 the door way leads to the hallway and you can see the unfinished part for storage and utilities. 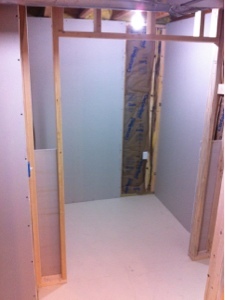 Linen closet and bathroom to the right. 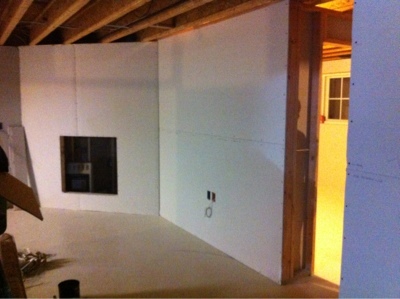 In the living room, by the media wall, looking into the playroom. French doors will go there. And thats it for the pictures for today! this is looking so great!!! it's taking them like no time at all :) love the updates!! !